ARISS offers academic services to universities and institutions with the goal of improving the teaching and learning processes in educational contexts. 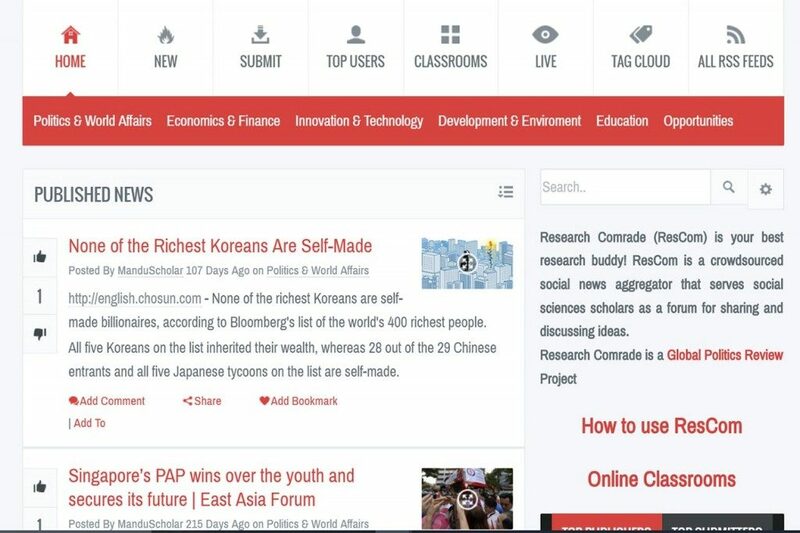 In 2015 we launched Research Comrade (ResCom), a crowdsourced forum and news aggregator for scholars and information sharing. Rescom was an open-access online application that could be used by Universities to create online classrooms for their students. The project has been discontinued in February 2017.